Even the most simple and known recipes can have certain nuances and peculiarities, allowing to achieve the best results. If you cook a soft boiled egg all the rules, it will not burst, the protein will have a nice soft, but firm texture, and the yolk will become viscous, not too runny and not too thick. Changing the cooking time, you can achieve different results, because everyone's tastes are different. Cooking eggs seems to be the easiest thing in cooking: simply place them in water, put on fire and after a few minutes to remove. But often due to non-compliance with certain nuances of the eggs cracked, out tasteless, protein acquires the consistency of rubber, and the yolk is either too raw, or too thick. For cooking soft-boiled is very important to take fresh eggs: staleness hard-boiled egg yolks are not as noticeable as in the liquid state. 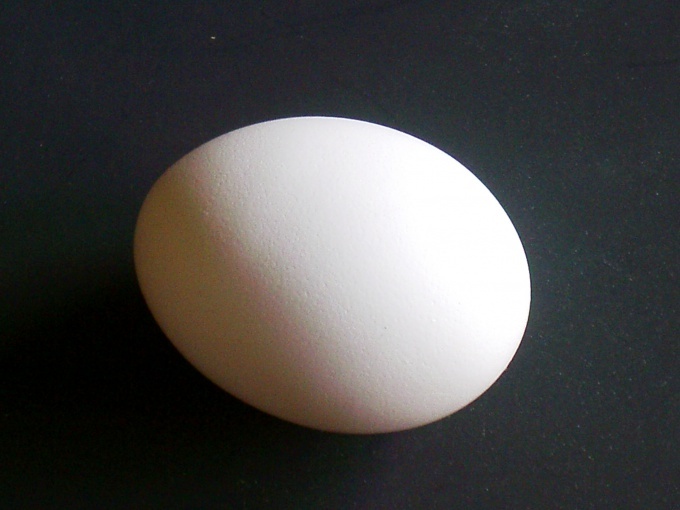 If you put eggs in water, fresh will sink to the bottom – they range in age from 1 to 6 days. One to two weeks stored eggs, floating between the water surface and bottom, these, too, can take for cooking. But if they surfaced, their period is already a month or longer, it is advisable to use them when baking and cooking to buy a new one. In addition, fresh eggs easier to remove from the shell. Select a pot of a suitable size depending on the number of eggs they must lay in it tightly, not to swim, so the shell does not crack. Before you start cooking, soak eggs in room temperature if they were stored in the refrigerator. Water for cooking, preferably a little salt, so the shell will be stronger and will not burst. There are several ways to cook a soft-boiled egg. You can put it in cold water, bring to boil at high temperature, reduce the flame after a boil and note the time. Three minutes is enough to get a semi-liquid egg, reminiscent of raw, but with a more dense in protein, the yolk in this case, it will remain quite liquid. Four minutes is enough to keep the protein fully cooked, and the yolk was a little too thick. But if you want to leave a small liquid spot in the middle of the egg, it should cook for five minutes. You can omit the eggs a tablespoon in boiling water, do it carefully and slowly and make sure they are not cold. Boil them one minute, then turn off the heat and soak them in hot water. If you remove the eggs after five minutes, the consistency will be more liquid after six minutes of protein has become more solid. 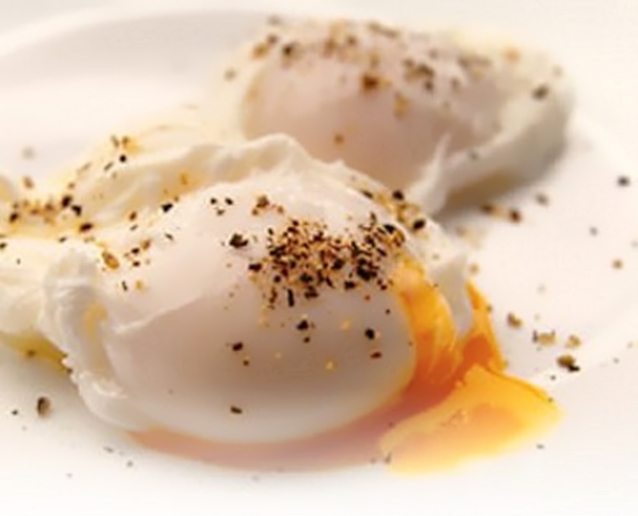 Poached eggs work in seven minutes. Put boiled eggs under cold water for a few minutes that they are easier to clean. If you want to boil quail eggs, reduce cooking time by 60%. Experiment over time to achieve the consistency that you like best. Eggs can be cooked many dishes. And even cook the egg . One more like the egg hard boiled, others prefer soft-boiled or in a bag. But the pouch does not always work. How to make egg cooked exactly as you want? The egg in the pouch can be cooked in several ways. The most reliable – without the shell, with lots of salt. Pour in a pan of water and put it on the fire. Water should be enough to egg drowned out. In this case, no matter large is the fire or small. Bring the water to a boil. Dial a handful of salt and throw it in the pot. Take a tablespoon. Stir salt. To do better clockwise. Stir salt until the pan is formed a water funnel. Beat the egg into the funnel. You must do this very carefully so as not to damage the membrane of the yolk. Salt will not spread the egg across the pan. Cook the egg for 4 minutes. Then remove the egg. More convenient to use for this purpose a slotted spoon. Put the egg on a plate. Eggs cooked in a pouch, served hot with different sauces and herbs. You can make poached eggs with cheese. Bryndza is necessary to warm, then place them on a dish to collect eggs and garnish with greens. The pan should be of such size to be able to use the skimmer. You can boil water and pour it over the egg so that the water covered it. With fried egg need 2-3 minutes. Before cooking the eggs must be washed, regardless of the method of preparation. The egg in the pouch can be welded in another way. Pour into a pot or large metal Cup of cold water so that the egg was covered with water. Cook the egg for 3-4 minutes. After boiling you need to cool the egg under cold water. The disadvantage of this method is that it is difficult to determine the exact cooking time. Very easy to get a soft boiled egg or hard-boiled. What you serve for Breakfast? Tender egg-poached, cooked without a single drop of oil – a great alternative to traditional scrambled eggs or omelets. This dish is the egg cooked without the shell. 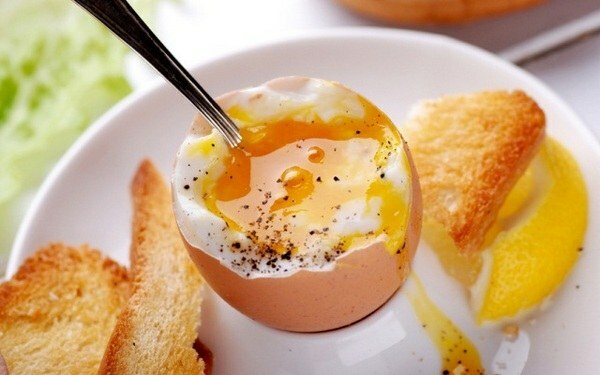 By the way, innovations in the form of "boiled eggs" were very popular in the time of Pushkin. Remove from fridge eggs for 10-15 minutes before cooking. Eggs must be fresh, not older than a week. Boil the kettle and pour in a pot of boiling water cool for about 2.5 cm. Place the saucepan on a low heat until the bottom begins to rise the strings of white bubbles. Don't let the water boiled "white key". Now prepare a bowl. Gently release her eggs one at a time. Making sure the egg is fresh, very carefully pour it into the boiling water (make sure water not boiling!). Let the eggs cook in the pan for one minute. Use a timer, because overexposed the dish on the fire, you will not get that "boiled eggs" are so fond of Pushkin. After a minute remove the pan from the heat and leave with the eggs for 10 minutes. The best time to detect as accurately as possible. After 10 minutes remove eggs with a slotted spoon and put on paper towel so that the paper absorbed the excess water. Then arrange the finished eggs on a plate. You get eggs with his moderately elastic protein and a creamy delicate egg yolk. To serve the dish immediately while it's warm. There are less traditional recipes poached eggs. One of them involves the use of cling film. Film lubricated with vegetable oil, placed in a bowl and then poured the egg. Then the film ties up, as if forming a bag with the egg, and placed in poorly boiling water for 3-5 minutes. At the end of these minutes, the egg in the film is extracted and, after he removed the tape, laid out on a plate. Poached eggs great as a standalone dish, but can also be composed of other complex dishes or with sauce – tomato, mustard or anchovies. In the water, which will cook the eggs, add a little vinegar and salt.